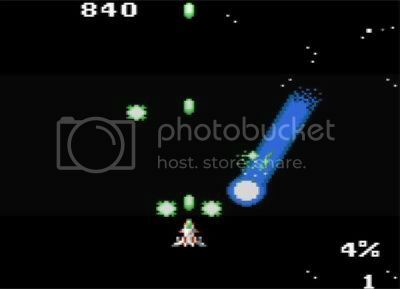 by PaulEMoz in "Game Gear", "Halley Wars", "Halley's Comet", "Sega", "arcade", "shmup"
Once upon a time, many many years ago, I was wandering around an arcade in Whitley Bay, and I happened across a game called Halley's Comet. 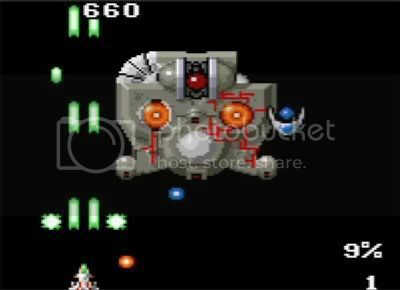 It was a vertically-scrolling shooter, and it looked awesome. So I played it, and loved it. I seemed to be really good at it... it only had a six-digit high score, and on my second go I managed 545,000. And then... I never saw the game in an arcade again. Years later, I bought a Sega Game Gear. I really liked that little system. When I spotted that there was a game called Halley Wars for it, my interest was piqued. And when I saw that it was a vertically-scrolling shoot 'em up in the vein of Halley's Comet, I bought it immediately. Whoooosh! Those mini-comets cause a fair bit of damage. Best take them out ASAP. It was quite a bit harder than its arcade parent... partly, I suspect, because of the controls, and partly, no doubt, because the screen was nowhere near the same height as an arcade screen and so there was much less time to react to enemies. Nevertheless, the prospect of saving the planet from an approaching comet remained appealing, and enjoyable. I played this today using a Game Gear emulator, not something I've ever used before. I really like it... it has a nice Game Gear surround for the "screen". Brings back some happy memories. Doesn't that look nice? I loved my Game Gear. The game follows the arcade game of Halley's Comet pretty closely. Alien forces are using the approach of a comet as cover so they can attack the Earth. Your lone fighter must attempt to stave off not only the alien attack, but also the disaster of having a comet crash into the planet. Lasers are always a good bet in these cases, and your ship is therefore handily equipped, but powerups can be picked up along the way to help you on your quest. This fella's a mite troublesome. He needs to be hit hard and fast. If anything gets past your ship, be it alien spaceship or mini-comet, the planet will be damaged. Once this damage gets too great, the Earth is detroyed, and you're pretty much knackered up there in space. Or in other words, it's game over. It's a good premise for a game; it adds tension and forces you into taking a few more risks than you otherwise might. 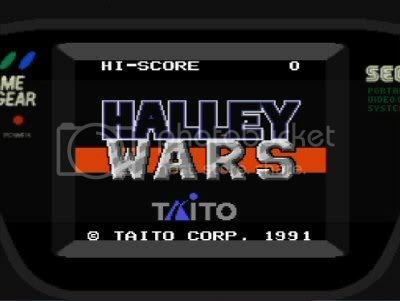 Halley Wars, for an old handheld system, is a good little shooter. It seemed amazing to me at the time, and although it's obviously less so now, especially with the advent of MAME, I still think they did a pretty good job here. For me, it justified the purchase of the Game Gear, which is pretty high praise. Now that I can play Halley's Comet in MAME it's perhaps redundant, but I've had fun with it here nonetheless.